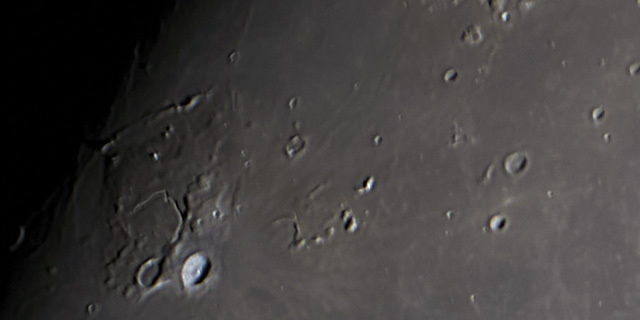 Clear steady skies last night in Austin, Texas, showed a spectacular view of Vallis Schroteri cutting through the highlands north and west of Aristarchus on the 12 day old Moon. 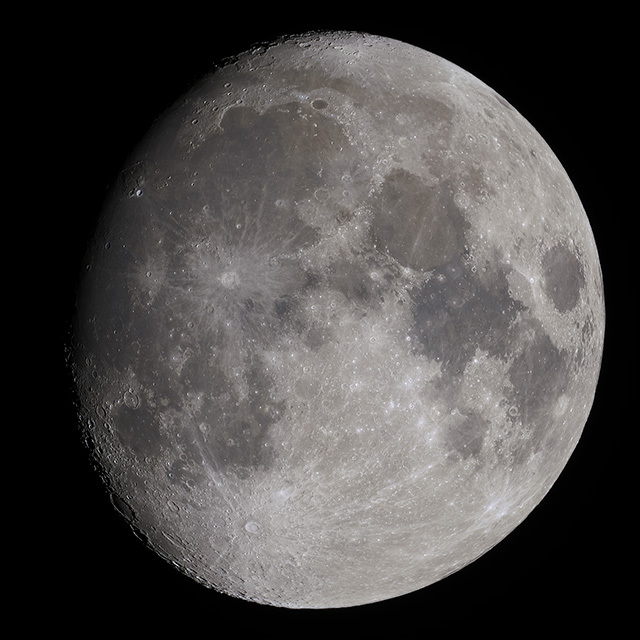 When I first tried using AutoStakkert to stack full disk images of the Moon, I found that the released 32 bit version choked on large images. For this image I tried out the latest beta of Emil Kraaikamp's 64 bit AutoStakkert 3 and am very pleased with the results. They appear comparable to using the affine transform option in Nebulosity, however AutoStakkert 3 is much faster. Both are a step up from the straight forward stacking in Lynkeos. Imaged with a Questar 1350/89 mm telescope with a Sony a6300 camera at prime focus. 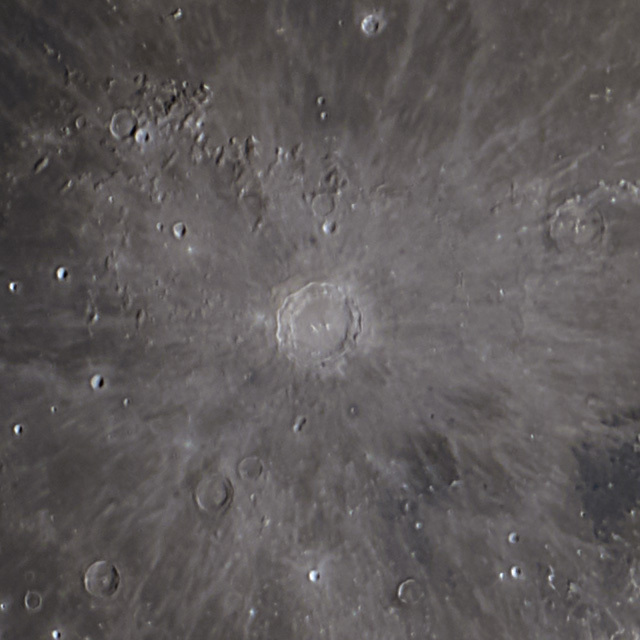 Best 10% of 114 images stacked in AutoStakkert 3, deconvolved in Lynkeos, with final crop and exposure in Photoshop.